As women are now blessed to have full contraceptive coverage under the Affordable Care Act, the basis of this complaint, I maintain, is discriminatory in nature. Only contraceptives used by women are at question, like the morning after pill and the IUD. Hobby Lobby contends that these birth control methods are abortifacients, which they are not. Perhaps before allowing a case to come before the Supreme Court, the lawyers representing the organization should be required to take a class on how these methods actually prevent pregnancy. The morning after pill prevents an egg from fertilizing but if the fertilized egg is already implanted in the uterus, it will not. Likewise, the IUD makes the uterus a hostile environment for the sperm so that the sperm can’t make it to the egg and the egg doesn’t want to hang out there. 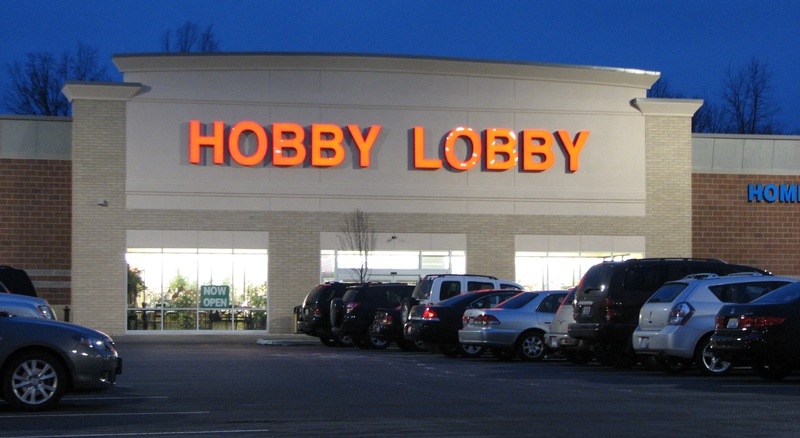 Hobby Lobby is pushing, with this case, for corporations to be recognized as religious. Um . . . we already have that provision for not-for-profit religious organizations. They are called churches. And synagogues. And mosques. If the owners of Hobby Lobby want to go open a church and call it Hobby Church and not provide birth control and abortion to their employees, go for it. But you’re not going to make money off consumers who want to buy model air plane kits if you don’t obey the law like all the other companies. Here’s some background on this company. The Greens feel that they are being forced to pick between their religious convictions or pay penalties. This is why we have that lovely piece in our constitution on the “separation of church and state.” Where does one draw the line on religious convictions in these circumstances? What if a company is run by Christian Scientists who oppose all sorts of medical intervention? Then you’ll have no coverage. What if it is a company run by Jehovah’s Witnesses? You won’t be covered for blood transfusions or dialysis, for starters. Here we are again, at the precipice of a slippery slope. Let’s hope the Supreme Court, already divided on this one by gender (surprise! ), makes a decision that keeps religious beliefs out of capitalism and allows women to have the same access to healthcare wherever they choose to work. Posted in birth control, feminism, reproductive rights, Uncategorized and tagged birth control, contraception, Hobby Lobby, reproductive rights, Supreme Court. Bookmark the permalink.